What Was it Like to Train in a Dome? During World War 2 (WW2) Flight Lieutenant J N Rounce DFC, was posted to RAF Langham in late 1944 as an aircraft captain with 612 Squadron. Jeff Rounce was a local lad who had grown up in North Norfolk. His family home was not far from Langham – just a few miles south, near Binham. When he was posted to Langham, he was able to frequently visit home and often took his crew along. Jeff joined the RAF in the second year of the war. It was June 1940 and with the Nazis having invaded and occupied much of Western Europe and seemingly intent on crossing the English Channel to do much the same here, the Battle of Britain was about to begin. He signed on at a recruiting office in the city of Norwich and passed the various tests required but was then told that he’d have to wait for a place on a training course because so many men had answered their country’s call. However, Jeff also learned that it was possible to be fast-tracked if you joined the Aerodrome Defence Corps (later to become the RAF Regiment). The very next month, he found himself training in Blackpool and then guarding the aircraft of 10 and 52 Bomber Squadrons at RAF Dishforth, in Yorkshire. Four months later, Jeff began his Air Flying Training in Devon and then was posted to Canada to continue his training. 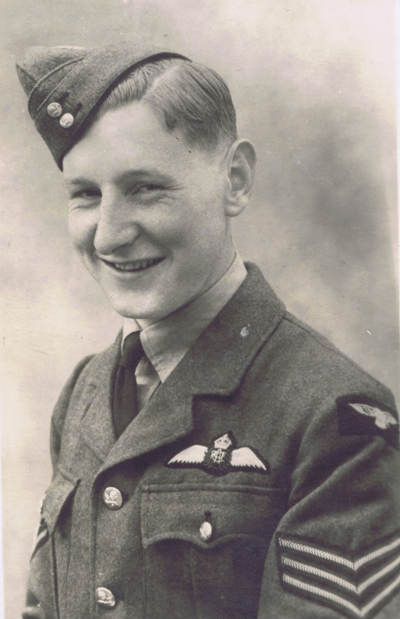 In January 1941, he received his ‘wings’ and three stripes as a Sergeant Pilot in the RAF. That summer, Jeff undertook a General Reconnaissance course, learning to take important photographs and in the September, he received his Navigator’s Certificate. In November he had his first solo trip in a Whitley aircraft and at the end of the month was posted back closer to home – to another Coastal Command station at RAF Limavady in Northern Ireland. When Jeff completed his flying course in December 1941, he missed out on the section which concentrated on solo flying and take-off and landing at night. He noted this as a ‘bit of a problem when I became [an aircraft] Captain’. 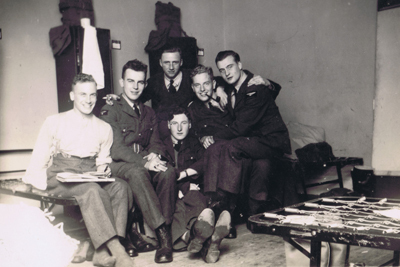 Whilst with 502 Squadron, Jeff went on [an aircraft] Captain’s course and upon his return, when he reported to the Orderly Room he was told to apply for a commission. But for ‘various reasons’, Jeff reveals that he did not want to be an officer and was only persuaded to apply for the commission by his Commanding Officer. ‘In the meantime, I found myself on a night-flying squadron that, combined with the retractable searchlight [Leigh Light] and the latest model radar was able to search for, illuminate and attack ‘U’ boats. With that, we went on an offensive and with the help of the navy, we had the ‘U’ boats defeated. In one month in 1943, I think we were able to sink 41 ‘U’ boats. I had a small part in it. The Germans were defeated and any attempts by them to gain the advantage failed. After D-Day no ‘U’ boat was able to damage or sink any of our ships taking troops and supplies to France’. 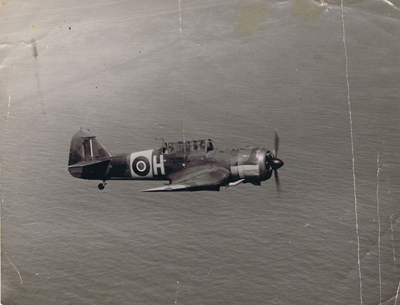 In September 1943, six aircraft from 172 Squadron were sent to Gibraltar to defeat an attempt by German ‘U’ boats to get into the Mediterranean to attack our shipping. All six ‘U’ boats were sunk – five to the west of the Straits and the sixth, after having been submerged for 36 hours, managed to get into the Mediterranean where it was ‘dealt with’ by the RAF and Navy combined, helped by me. After a spell in the Azores in 1944, Jeff was back in England later that year for what he described as a ‘rest period’ – target towing in Pembrokeshire, flying Miles Martinet aircraft pulling a drogue for four-engined aeroplane gunners to fire at. He enjoyed flying the ‘fast, single-engine aircraft’. Just before the start of 1945, Jeff was posted to Langham with 612 Squadron. He and his crew and comrades spent the early part of the new year attacking ‘E’ boats. A newspaper report at the time detailed his efforts in one particular action, which saw him awarded the Distinguished Flying Cross (DFC). Later, after the end of hostilities in 1945, Jeff was posted to 521 Squadron, a meteorological unit, also based at RAF Langham at that time. Jeff Rounce was demobbed in 1946 and, as he described it, became ‘…plain Mr Rounce, with no job and not much money’. Jeff never became romantically involved during the war because of a promise he had made to the young, heart-broken widow of a fellow RAF pilot. She asked him not to put any other woman in her position. Jeff Rounce kept his promise – but he did find romance after the war, later marrying Verna at Dereham on April 6th, 1948. Jeff settled down (not far from Langham), re-trained as a teacher and taught at Wells Secondary School, near his original home. He also became very successful as a beekeeper and became a parent and grandparent. He passed away in 2013. A newly qualified Sergeant Pilot Rounce. © Di Cornell. A young Jeff with colleagues in Canada © Di Cornell. Jeff Rounce flies a Miles Martinet Target Tug in 1944. © Di Cornell. 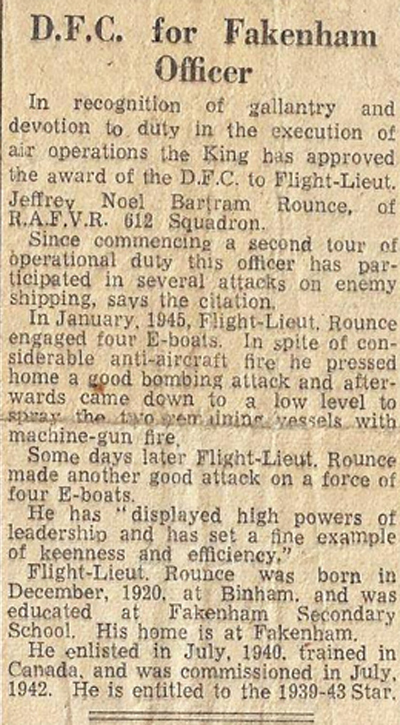 How a local paper reported the award of Jeff''s DFC. © Di Cornell. 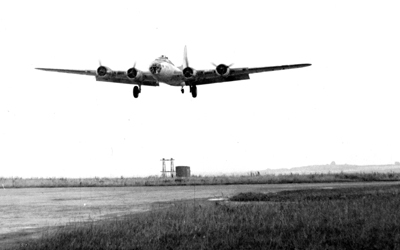 A Flying Fortress of 521 Squadron lands at Langham. © Di Cornell. 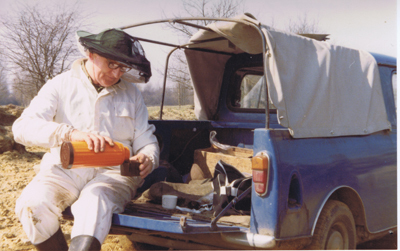 Jeff takes a break whilst tending to his bees © Di Cornell.